World War 3 has received an update that adds to the massive multiplayer experience. The update brings a new mode, map, and information for its players. 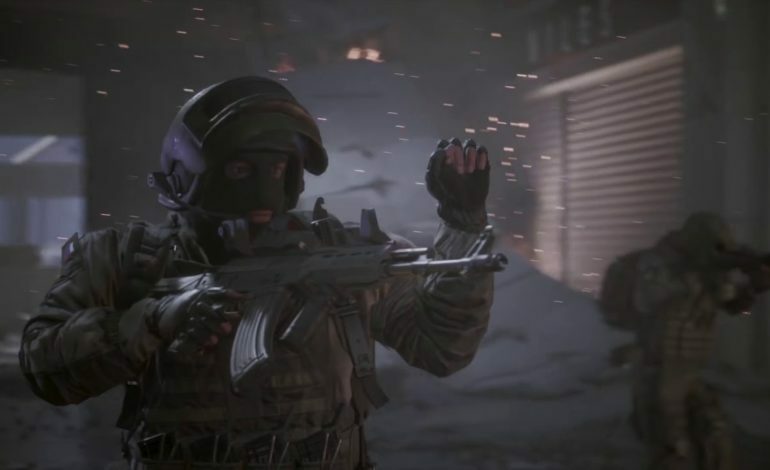 Released earlier this year, World War 3 has finally brought some clarity for the foreseeable future with a roadmap of what its fans can expect to come next. The game is a first-person shooter, multiplayer title that takes place in a realistic modern day, full of global conflict and war. The focus of the game since launch has been on team building and customization options that seem as authentic as possible to actual military assets. This authenticity has been a goal that developer The Farm 51 has strived toward and has done so by conversing with military R&D centers and consultants. These individuals have had a hand in the production of World War 3 so that players can experience tactics and techniques used by “true combat engagements,” but also to visit real life locations as battlefields. Some of the locations include Warsaw, Berlin, and Moscow. With the most recent update, World War 3 has finally added team deathmatch as a game mode. This update has also introduced another Warsaw map that takes place in a tightly-spaced shopping mall. As mentioned in the tweet above, The Farm 51 has laid out a roadmap for the near future of what is to come in the game. The next update is slated to come before the end of the year and add not only another map, but a new game mode called Balance Pass. In the Winter 2018/2019 time period the developers will be bringing a new map in Berlin and another game mode that is simply titled, Recon. While the game has mixed reviews on its Steam page, it is clear that the developers are working towards a realistic, modern-day war title that can put individuals in the boots of soldiers. World War 3 is available on the Steam Store.